Unravel the mystery of the Seven Wonders at Luna Nova. Little Witch Academia: Chamber of Time is coming to the Americas (Update: and Europe) for PlayStation 4 and PC via Steam in early 2018, Bandai Namco announced at Anime Expo 2017. In Japan, the game is due out for PlayStation 4 on November 30. 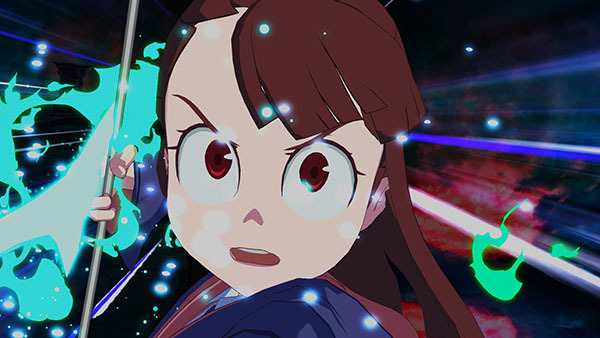 Little Witch Academia: Chamber of Time is a heart-pounding 3D action RPG beat ‘em up featuring an original storyline carved from the popular anime series by Studio Trigger, a Tokyo-based anime production company; now streaming exclusively on Netflix. Watch the announcement trailer below. View the first set of English screenshots at the gallery.